THINGS SEEMED to be going very wrong for the state medical-marijuana movement. Two days after Barack Obama was sworn in, federal agents began a series of raids on licensed cannabis dispensaries and growers in California and Colorado–something Obama had suggested would not happen in his presidency. Activists remembered that in 1999 candidate George W. Bush, when asked about state medical-marijuana efforts, declared, “I believe each state can choose that decision as they so choose.” He went on to crack down on doctors, dispensaries, farmers, and terminally ill patients who use marijuana according to their states’ laws. 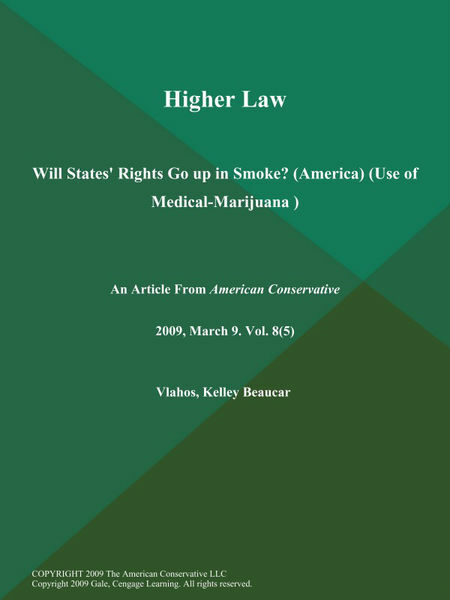 Publisher by : The Lawbook Exchange, Ltd.
America, Higher, Law, MedicalMarijuana, Rights, Smoke, States permalink.